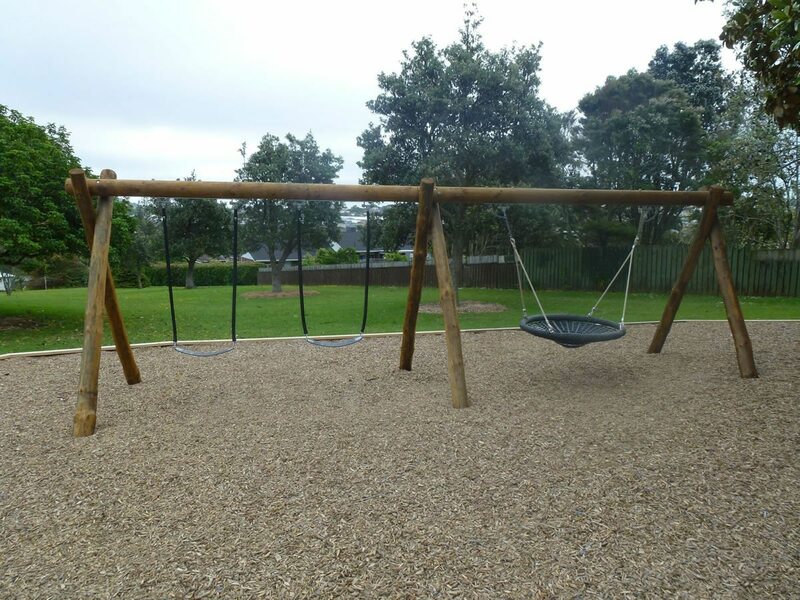 Auckland City Council was seeking to develop a play space in a neighbourhood reserve that was sustainably appropriate to existing surroundings and large mature trees. The equipment also needed to satisfy the varying needs of different age groups to cater for the local community and an adjacent preschool. The vision was for a ‘tree house’ to fit into the natural surroundings and existing contours of the Reserve. 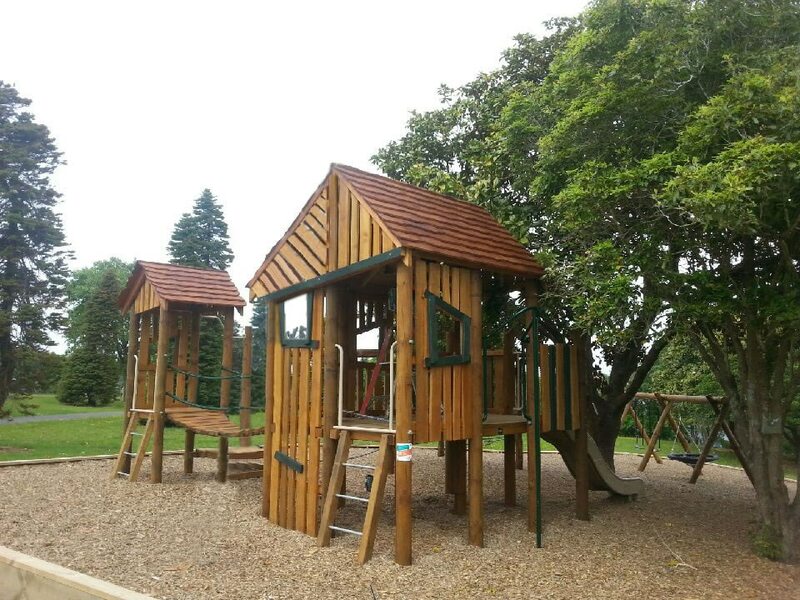 The Playground Centre worked with Future Landscapes to design a ‘custom tree house’ using natural timbers to provide a ‘rustic’ look. 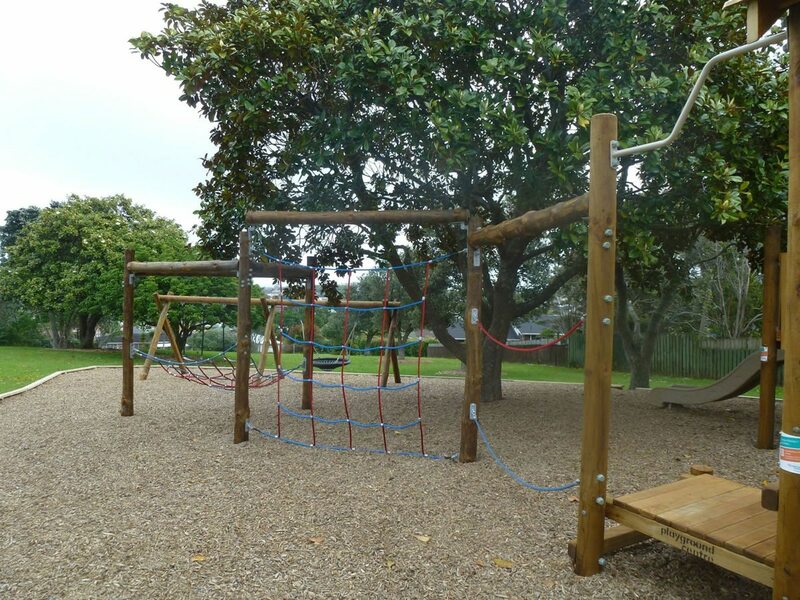 Complementing this, auxiliary equipment was designed to capture and continue the theme throughout the play space whilst providing the desired developmental benefits for the different age groups.